Paul: Quinns hello Quinns good morning Quinns have you seen? There’s a few interesting things that came in the Games News Sack this morning. Quinns: That’s not the “Games News Sack”, Paul, that’s the postman’s bag. Paul: Well he won’t be needing it any more. 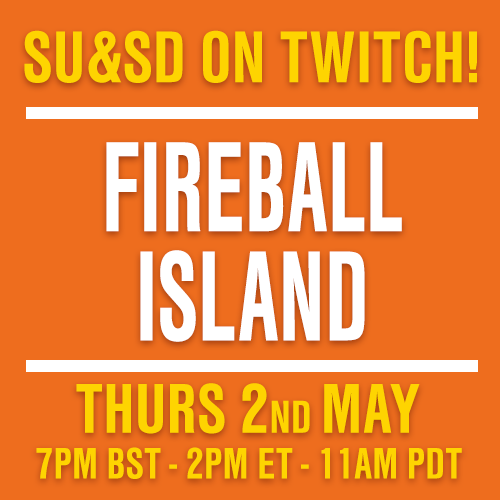 The important thing is that we’ve got the Games News today. As well as everyone else’s mail. And a few spare, loose limbs. Quinns: Okay then. I guess now is as good a time as any to start telling people about Tail Feathers! A new skirmish game from Plaid Hat arriving in just a few months that combines Mice & Mystics with the X-Wing Miniatures game. Yes, you read that right. It’s nuts! By which I mean there are tokens representing nuts. 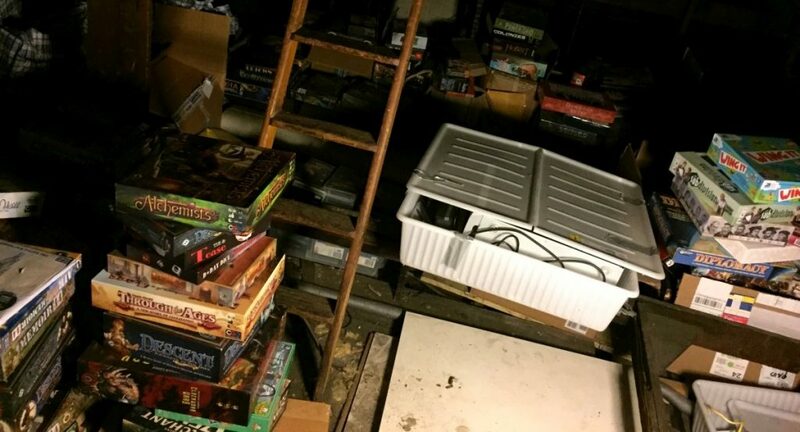 We weren’t the biggest fans of Mice & Mystics, but not to worry. Tail Feathers only represents a practical repurposing of that game’s brand and artwork. The actual game is a no-holds-barred war between two players’ birds and the mice that ride them, with games often being won by destroying your opponent’s nest. With fire. Another cool feature is that the bird miniatures themselves can have their heads and wings tilted to signify which way they’re flying. Oh, and there’s a mouse called Staborah. Have I beaked your interest? The official Watch It Played video should be your next step. Quinns: Instead of “piqued”, you see. Quinns: This week’s proof that Kickstarter is crazytown crapshoot is The 7th Continent*! 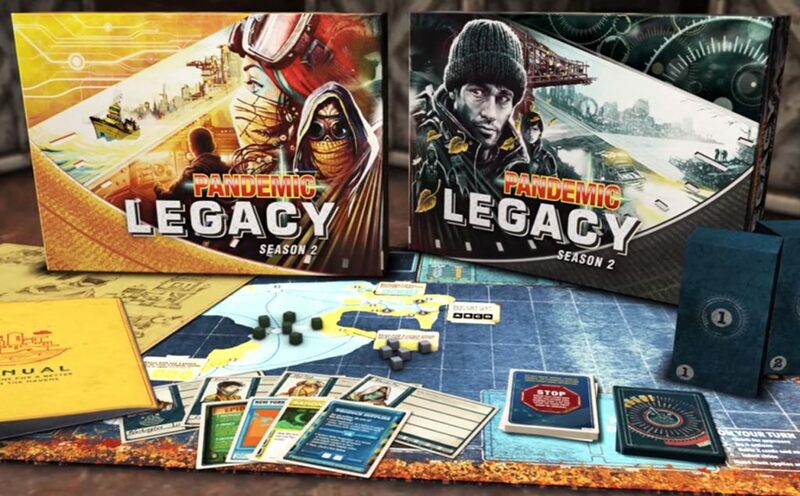 A card-based exploration board game that’s raised almost half a million euros from more than 5,000 backers in its first week. 7th Continent is fascinating and unsettlingly ambitious in equal measure. It’s essentially a choose your own adventure book that casts you as a dashing explorer in 1907, except instead of pages it has cards, and with that framework it does all sorts of fun stuff. The cards can be added to your explorer’s “action deck”, they can fit together on the table to create a map or simply have events and plot written on them. 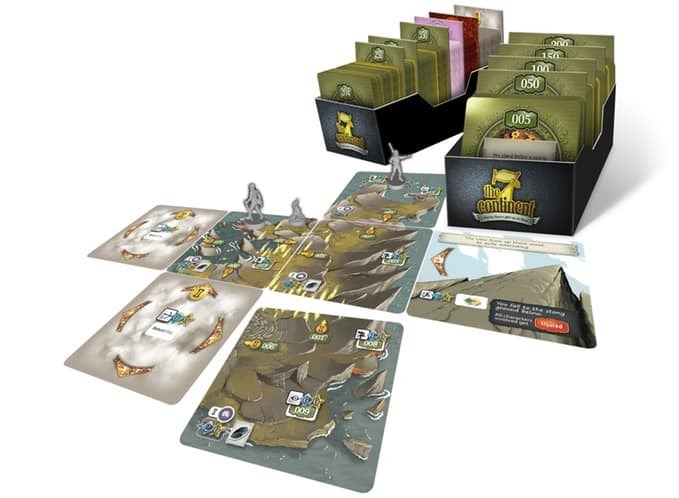 They’re promising “1000+ minutes of adventure” out of the base game (long enough that 7th Continent features a quick method for “saving” and “loading” your game), you can grab three different expansions to add to your backer tier and they’re already revealed dozens of stretch goals that all add new cards. My heart says that’s exciting, but my head says it’s madness. I’m as eager as anyone to poke around this continent and see if they can pull it off. Paul: That’s a lot of minutes. Also blasting off on Kickstarter is Spaceteam, a co-operative, real-time card game of spaceship repair that has everyone hunting through decks of tool cards, tossing them back and forth in a race against time. Your ship is broken and to fix it, like any dashing young LaForge would, you’ll need to find those moonwhisks and those centrifugal dispersers, tools that are no doubt in someone else’s hand right now. How do you get them? Lots of shouting and panicking and flailing, by the looks of it. Does that sound familiar? Well, of course it does. You may well have played the co-operative Spaceteam app on a mobile phone, yelling ridiculous orders back and forther. Don’t worry, this is no roguish rip-off, no scallywag stealing, but includes that app’s original developer, Henry Smith, amongst its design team. It also includes a “NSFS deck” amongst its rewards, a brilliant idea that will probably make your sessions very rude. Or just ruder than they already are. 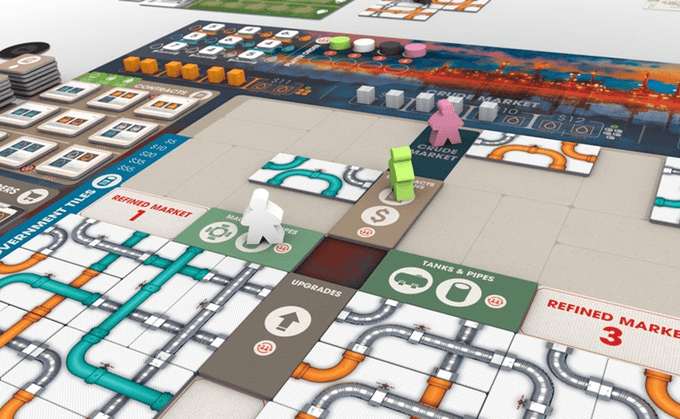 Quinns: Here’s another dream Kickstarter is offering to gestate to completion: Innovation Deluxe! A new print run of 2010’s strong game of Innovation (together with its four expansions, if you like), but hit with a pretty-stick. Which is a great idea! 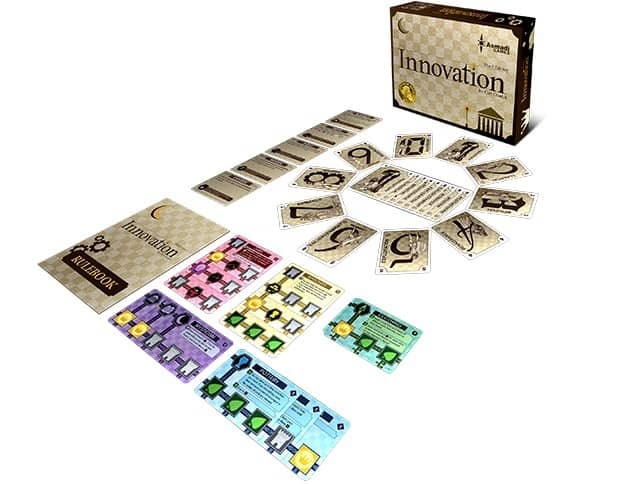 In our review of Innovation I said that its tiny box “looks like it should contain Soviet suppositories”, and that its cards were the colour of lungs. Which rings a bell. The bad news is, I still don’t really like how Innovation: Deluxe looks. The redesign has tried to remain true to the original box, which is silly! For reference check out how another 2010 game, Catacombs, handled its redesign from 2nd edition to 3rd edition. It obliterated the old edition. It kept nothing, and was the stronger game for it. Paul: Aaaand finally (which is a thing I’ve always wanted to say while spinning on a chair toward the camera, a little thumbnail graphic projected over my shoulder) Buzzfeed have put together the above lovely video of real surgeons playing Operation. Are they actually any good at it? I won’t spoil that, but I will tell you that a surgeon saying “One thing you don’t want to do in surgery is just wing it,” doesn’t fill me with confidence. That seems like a very obvious Surgeon Thing and something I imagine they teach you on day one, or perhaps day two, rather than being something revealed in this way as if it’s some Special Surgeon Wisdom. What I’m looking forward to next is real detectives playing Whitechapel, real hackers playing Netrunner, real astronauts playing Space Alert and real werewolves playing Werewolf. I can’t see how any of those wouldn’t be entertaining. * Or maybe releasing games is always a crapshoot, and Kickstarter is just laying that bare for us?